For most Indonesians, rice is the major staple food, which supplies most of the carbohydrates and protein for their lives. Because of its importance in providing national food security and generating employment and income for the low income people, rice is regarded as a strategic commodity. Therefore, the government has kept rice in the food production programme as the top priority since the beginning of the series of Five Year Development Plan started in 1968. Strong commitment of the national leaders and the political stability supported by the hard work of people involved have led the country to self sufficiency in rice since 1984. 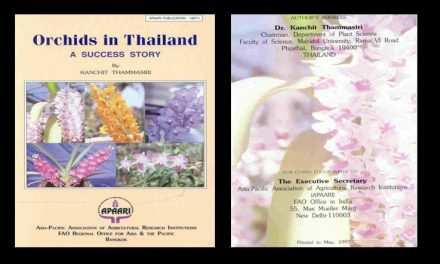 Rice production in modern times, while benefitting greatly from application of the green revolution technologies to meet the need, has been plagued with other problems. Implementation of the green revolution technologies, particularly using high yielding varieties, fertilizers and pesticides have contributed to the increase of rice production in Indonesia. Apparently the high rate of agrochemical use have also created some negative impact on the environment. 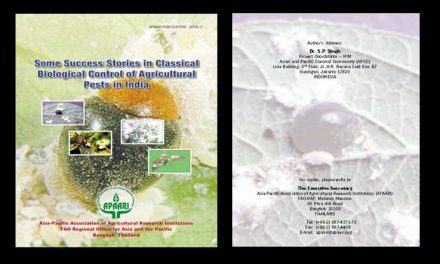 Drawbacks due to pesticide application encouraged us to initiate better control measures for pests and ~iseases. The measure was primarily a blend of biological and chemical control and later has acquired a wider meaning known as Integrated Pest Management (IPM) .IPM is implemented by utilizing a sound ecological approach, which is aimed at optimizing control measures rather than maximizing them. 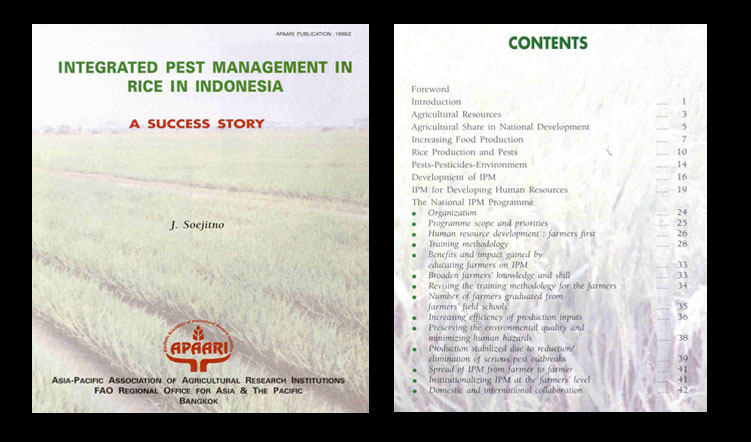 IPM has been launched since 1979 and has become officially a government policy in plant protection in Indonesia. It has been realized that there are still many problems in implementing IPM, since it is a dynamic process. Since 1989, the government of Indonesia has been undertaking a large-scale IPM programme that works directly with frontline agricultural extension workers and a large number of farmer’s groups across the country. 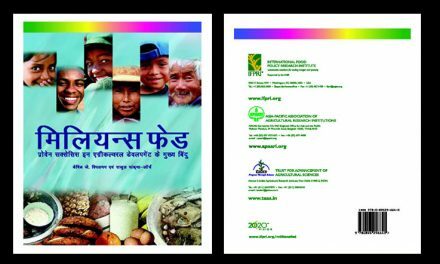 IPM programme’s emphasis on developing human resources brings about tremendous changes in behaviour and field practice, enabling farmers to escape from previous habits and threatening advertisements of persuasive chemical companies. IPM in Indonesia has evolved concepts by honing the skills of fieldworkers and farmers in ecology-based methods where decision making and field management are based upon agro-ecosystem analysis and hands-on fieldwork. 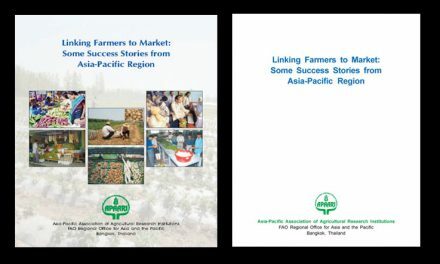 In review and evaluations to date, the programme has been judged to be successful at getting complex methodologies “institutionalized” at the farmer’s level.